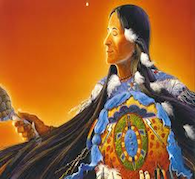 While you could learn Shamanism and grow without any attunements and none are needed to connect to Spirit, The Magickal Shaman LightWorker Program attunements clear the path and speed ascension for those willing to work with the energies. The more you use the energies, the stronger they become and easier it is to connect and use the energies. By the time you complete the Master level, you will understand the energies of Shamanism and have mastered the essence of Magickal Shaman LightWorker Program.